Hereditary PLN in Soft-Coated Wheaten Terrier starts with a hidden proteinuria in midlife. The disease can proceed mildly and stay steady for years. In some cases severe complications like kidney failure or thromboses occur. Risk assessment for PLN is possible due to genetic testing, now. Nevertheless, starting point and development of symptoms vary hugely and are supposed to depend on enviromental factors and modifying genes. Additionally, aquired forms of PLN disease can not be detected by the genetic test. 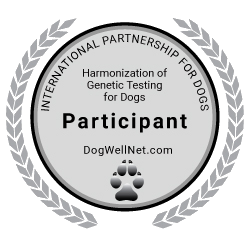 Heterozygous dogs possess medium risk, homozygous affected dogs possess high risk to develop symptoms of the disease.